San Diegans can now taste one of the 20 best Italian restaurants in the country without leaving the city! 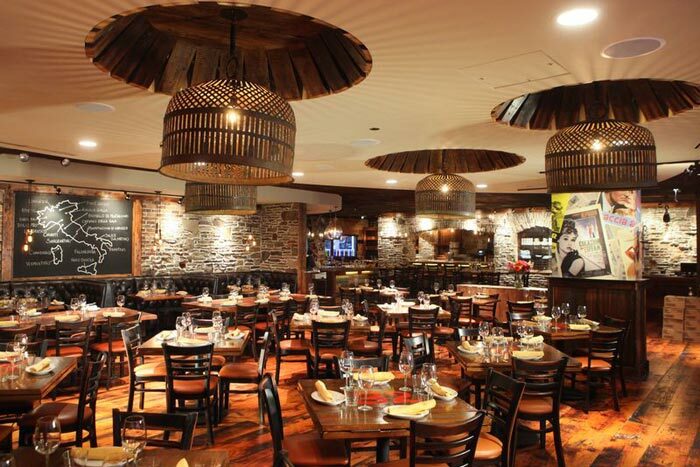 The Daily Meal has named Davanti Enoteca one of the top 20 Italian restaurants in the nation. Sharing a roster with names like Babbo in NYC, Scampo in Boston & Vincenti Ristorante in L.A. this is a proud moment for restaurateur/chef Scott Harris to have his flagship Davanti in Chicago recognized with such an honor. Scott's family here in San Diego, including wife Dana and the staff at Davanti Enoteca in Little Italy and Del Mar Highlands, are excited to celebrate this with the local community. Unique to this list: the official recognition of "checkered tablecloths being a thing of the past" and Davanti has led that trend in San Diego's Little Italy. When it opened two years ago, it was the first to bring sophisticated Italian dining to the neighborhood and after it opened others followed suit. Now we have La Villa, Davanti, Monello and Bencotto all paving the way for a stronger Italian culinary scene well beyond the days of Filippi's being the go-to Italian restaurant. Tastes and expectations have changed and a fresh, passionate approach to cooking is now receiving well-deserved recognition. Davanti Enoteca may be viewed online at www.davantisandiego.com and www.davantidelmar.com, and is on Instagram and Twitter at @davantisandiego.